Pondering a visit to the bucolic rural region of Umbria during the winter, but aren't sure if it’s worth the effort to visit in the off-season? Though the best times of year to explore the hill towns and rolling countryside of central Italy are spring and fall—with mild temperatures, sparse crowds, and a plethora of cultural and food festivals—Umbria can still captivate during the somber winter months, given some advance planning. If you are contemplating a winter trip between December and March, here are some guidelines to keep in mind. Umbria during the winter season is quiet...very quiet. If you dream of bustling town squares, raucous local festivals, and lively cafès, you may want to consider a trip in the summer or fall. After the Christmas and New Year’s festivities end, the region falls into a dreamy, contemplative state that more or less lasts until Easter (with a small hiccup of activity around Carnevale, though this former Papal state is rather somber even during the most bacchanal of festivals). That said, if what you really need is to unplug and relax, Umbria in winter is the ideal destination. The streets, squares, and monuments are quiet when wrapped in a cloak of fog, and balmy when the winter sun shines bright. Restaurants are cozy with lit fireplaces and rich legume soups, and temperatures are generally comfortable enough to take long scenic walks in the countryside. You may want to consider Umbria in winter if you are looking for a spot for a creative or spiritual retreat, some serious couple time with your sweetheart, or just a chance to enjoy one of the most popular countries in Europe without the summer crowds. There is a time to explore the furthest reaches of this rural region, staying in far-flung farm resorts, renovated castles, or off-the-grid monasteries That time is not during the winter, when these historic stone buildings turn cold and damp and the nearest villages seem eerily shuttered. Much of the charm of these isolated accommodations is the chance to set off on foot to explore the surrounding hills directly from the front door, but with winter comes the possibility of days of rain and sleet, with few options for a Plan B if staying deep in the countryside. Instead, opt to stay in one of Umbria’s larger cities or towns from Christmas to Easter, where most hotels, shops, and restaurants stay open year round and there are a number of options to fill your days, even when the weather takes a turn for the worse. 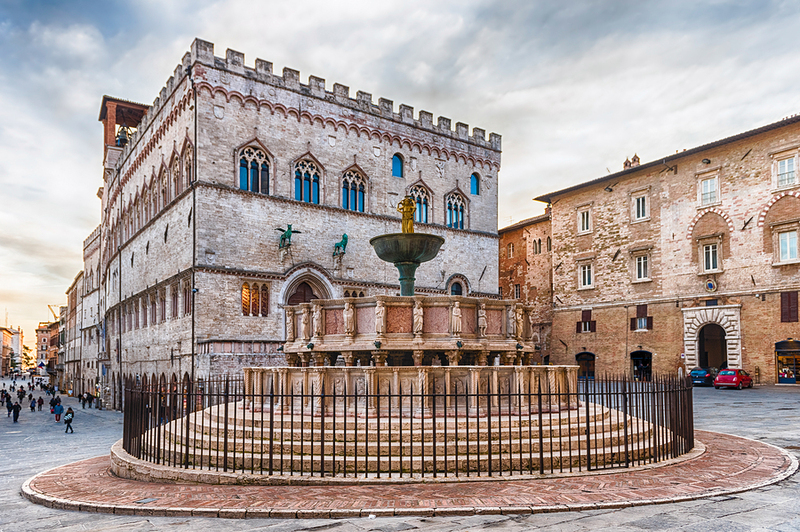 The best option is the provincial capital of Perugia, with its elegant historic center, views over the Umbrian Valley, easy rail access to hilltowns across the region (and Rome and Florence for day trips), and vibrant cultural life even during the coldest months of the year. Other good choices are Orvieto, especially if you are planning day trips to Rome and Florence, and even Assisi, a major tourist destination in Umbria, though significantly quieter in winter. Umbria is known as the “Green Heart of Italy”, and one reason the region is so lush is its ample precipitation, most of which is concentrated during the months from November to March. If you are visiting during the winter, you will almost certainly get at least a day or two of rain during your stay and should make sure you have a contingency plan in case your day of hiking or exploring hill towns on foot is rained out. Save exploring the picturesque villages of Spello, Bevagna, Spoleto, or Gubbio for a clear day and instead concentrate on the region’s indoor churches and museums (the Basilica di San Francesco in Assisi is the perfect rainy day option, as is the Orvieto Underground tour and the Galleria Nazionale dell’Umbria in Perugia). Another excellent option to fill a wet morning or afternoon is joining a winery tour (you can explore wineries on your own, of course, but joining a tour is the ideal way to visit a number of tiny, family-run wineries in a single day while letting someone else take care of the navigating and driving! 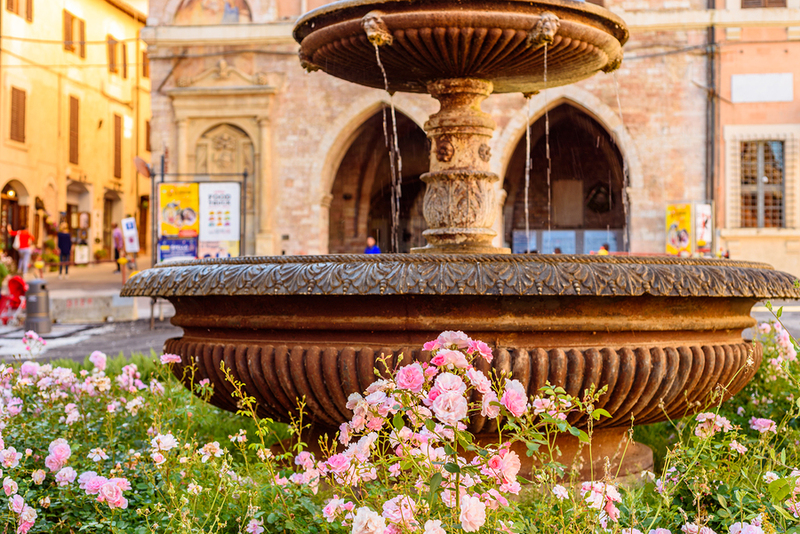 ), taking a cooking class, or touring Perugia’s historic artisan workshops, famous for their stained glass, hand-loomed textiles, ceramics, and other traditional crafts. In addition to the quieter monuments and general laid-back atmosphere, there are a number of season-specific reasons to visit Umbria in winter. Perhaps the most compelling is the old-world feel of the Christmas holidays in this understated region, where the holidays have largely resisted the commercial conversion and still center around family, faith, and food. 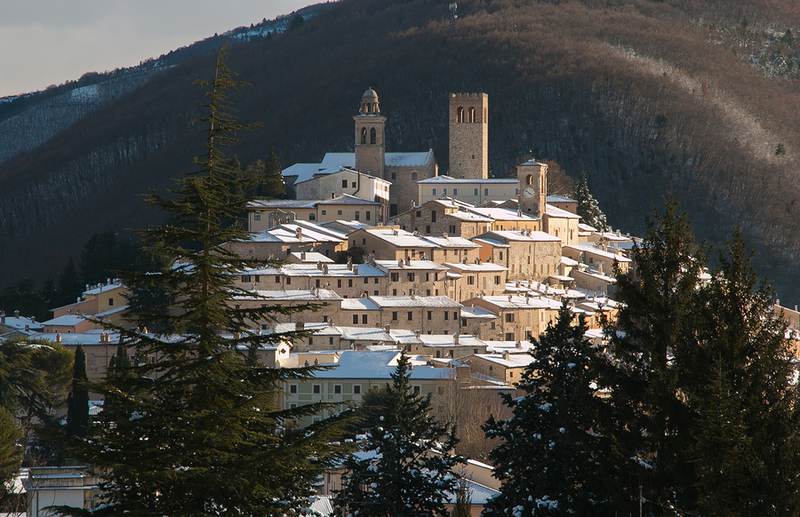 If you’ve been wanting to celebrate a simple Christmas with family and friends, Umbria offers the trappings of fairy lights, midnight Mass, and Nativity pageants without the stress of non-stop shopping and decorating. 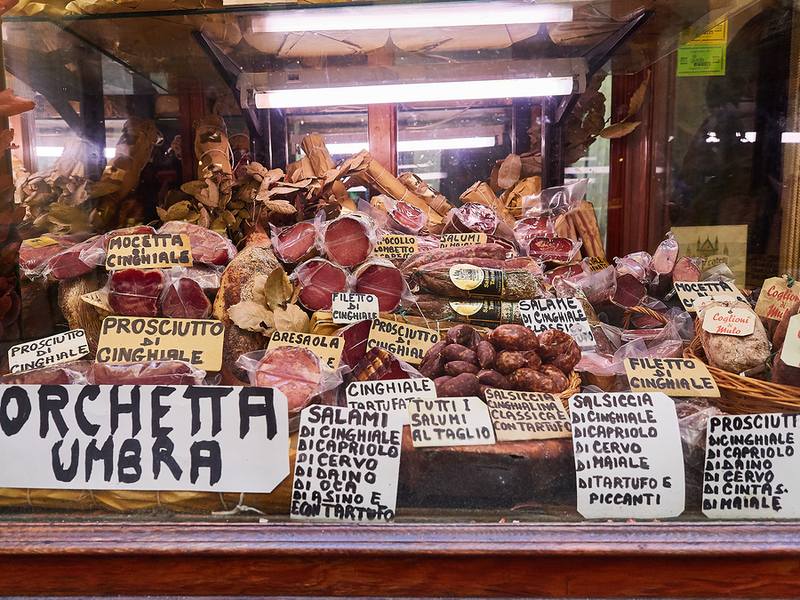 Another reason to consider a winter visit is Umbria’s rich cuisine, deeply rooted in seasonal ingredients even during the coldest months of the year. Indulge in rich regional comfort foods like fresh egg tagliatelle with tangy game sauces, savory roasted meats, heirloom legume soups, or earthy mushroom and truffle dishes. Christmas menus feature handmade cappelletti floating in a delicate meat broth, and in January there is fresh, free-range pork sausages and chops to grill over wood coals. Though it may be tempting to spend your winter evenings in Umbria curled up by the fire with a stack of books, there are a number of cultural events and music festivals held across the region to tempt you. The most important include Umbria Jazz Winter, held in Orvieto over the New Year’s holidays and featuring live jazz, blues, and gospel concerts and performances in venues across the historic center, including the city’s opulent theater and famous cathedral; and the season for Amici della Musica, which includes classical concerts and performances in historic churches and palazzi across the region from September to May. While you may not find Umbria in winter particularly vivacious or the center of a whirlwind of spirited events and festivals, you can experience the serene, contemplative charm unique to the region’s quieter, more peaceful inverno umbro.